An application for recognition filed by the International Mixed Martial Arts Federation (IMMAF) has been rejected by the Global Association of International Sports Federations (GAISF). The IMMAF were seeking to be granted observer status and had hoped to become part of the umbrella body as part of a wider attempt to increase its stature within the Olympic Movement. But their efforts have hit a major stumbling block following the decision from the GAISF. In a statement, the IMMAF claimed it had not been given any reason for the rejection and said it would be "reapplying as soon as possible". It is not clear whether an ongoing legal dispute with the World Anti-Doping Agency (WADA) following the global watchdog's refusal to allow the IMMAF to become a signatory of the Code contributed to the decision. IMMAF President Kerrith Brown, who was accused of multiple misdemeanours in his previous role as chairman of the British Judo Association, claimed the organisation was "surprised" at GAISF turning down its application. Brown, found to be "almost entirely" at fault for Glasgow losing the rights to host the 2015 European Championships after he signed a deal with the Ultimate Fighting Championship, also insisted the IMMAF had rectified previous issues outlined by the umbrella organisation. This included a row with the World Mixed Martial Arts Association (WMMAA), eventually resolved when the two bodies signed a deal to join forces last April. 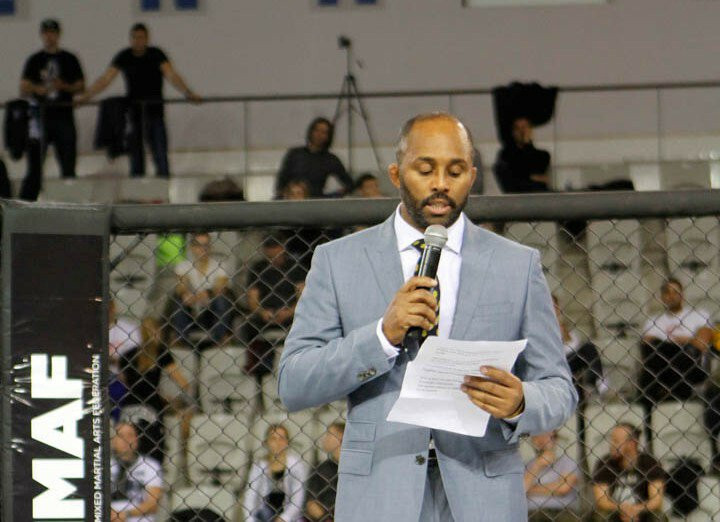 "We are surprised at this outcome as IMMAF has engaged and communicated with GAISF throughout the two-year application process, attending applicant workshops and following all advice," Brown said in a statement. "On GAISF’s advice that rivalry with the WMMAA would be an obstacle to our application we duly merged with with WMMAA in 2018. "We have been notified of no other issue with our application. "To our knowledge we meet all available GAISF criteria with the exception of WADA recognition despite full compliance with the WADA code. "WADA’s rejection letter to us cited GAISF as instructing the decision, and we currently have a case in progress against WADA in the ordinary Swiss Courts due to this clear conflict of interests: Acceptance now by GAISF should have eradicated the issue. "Obviously IMMAF- WMMAA are seeking information from GAISF and we intend to apply again as soon as possible. "Those who have followed our journey will know of the opposition MMA has faced from certain recognised combat sports, which we see as anti-competitive. "These sports hold powerful positions in the international sports movement. "This rejection now with no given reason and lack of transparency does nothing to allay conjecture." Brown also promised to "continue to seek justice for our sport" and that the "fight for mixed martial arts and its participants does not end here".